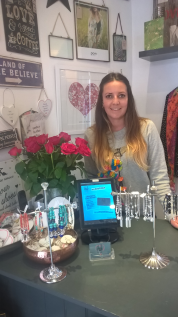 Erj Boutique based in the heart of Hoole is one of 30 businesses that have signed up to the Love Hoole loyalty scheme. They showcase an eclectic blend of well sourced female fashion, accessories and gifts from the U.K, Europe and beyond. On Thursday 18th May they celebrate a successful 10 years! Join them 10am- 8pm for fizz, nibbles and fab prizes in their lucky dip! To mark this event erj Boutique are offering 20% off everything to thank their loyal customers! If that wasn’t enough, ChloBo has designed a bracelet exclusive to erj Boutique! So don’t miss out and get down to store this Thursday. The party will continue at the Hollows from 8pm onwards! Vouchers will not be redeemed on Thursday 18th May.